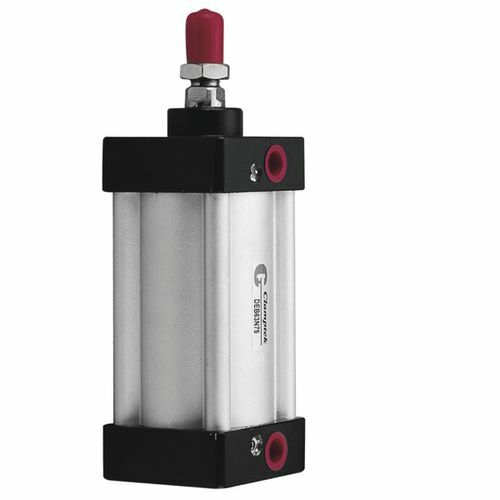 The DE series, which are manufactured by Clamptek, is a pneumatic line cylinder that has a body constructed out of anodized extruded aluminum. Its bore sizes ranges from 32 mm, and up to 100 mm in diameter with strokes ranging from 25 mm, and up to 500 mm. They are also compliant with ISO 6430 standards.